Please allow enough time to travel and park. Maenclochog is a rural village with narrow roads leading to it. Please also allow enough time to register especially the Beast Bach with over 200 runners!!! There are many rooms in the village hall for you to change if need be, but please take off all dirty footwear before entering the hall……………….unless there’s an emergency of course! If you have pre-entered, then you will get your race number at registration. Please attach your unfolded race number on to your front!!! This will aid the CP and finish line marshals, and you wouldn’t want them to record the wrong number would you! Also at registration you will receive your goody bag(if pre-entered), and your Tshirt if you have pre-ordered one. You may be able to purchase a Tshirt if there are any spares? 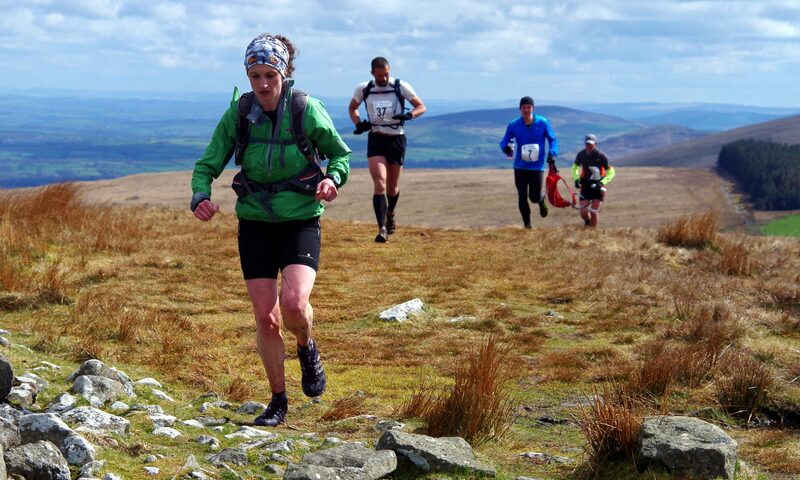 Registration for The UltraBeasT and Preseli Beast will open 08.30-09.45. Registration for Beast Bach will open after 10.10-12.15. Last minute briefing and kit check will happen on start line if weather allows, or in the hall if weather is bad. On the day registration might be possible if the event has not sold out. Check website before travelling down. However, If you do enter on the day there is the possibility that you will not get a goody bag. Check back after you finish to see if there are any spare. Wearing headphones!– I strongly advise you not to wear any headphones that impede your hearing. A-It stops you from hearing marshals instructions; B-runners may need assistance; C– You could be going the wrong way and others are trying to tell you; D-It distracts your thoughts and concentration; E– You might not hear vehicles! I could go on!!! Finishing area. – Please have a look at this and the finishing funnels. There are three finish funnels, and we don’t want you running into the wrong ones!!! This is situated on the bottom green opposite the T-junction. It’s quite clearly seen.